This book is concerned with the development of prevention policies and approaches that involve intervention 'early' in the lives of children, young people and their families, and explores new evidence that has been emerging from longitudinal and developmental prevention research. 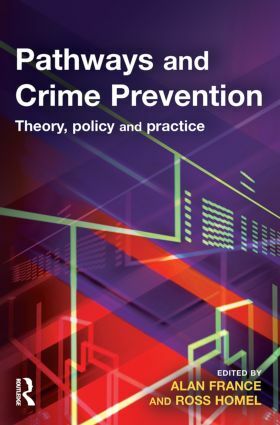 It addresses a number of key challenges, arguing that by broadening the research questions and exploring contributions from a wider range of disciplines our understanding of both the pathways into and out of crime and the type of interventions that might work will be greatly enhanced. Alan France is Professor of Criminology at Loughborough University, UK. Ross Homel is Foundation Professor of Criminology and Criminal Justice at Griffith University, Australia.